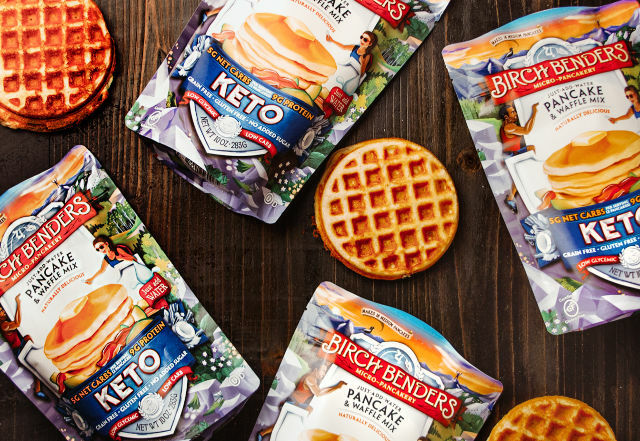 Mix Birch Benders Keto Pancake and Waffle Mix with water and coconut oil according to package instructions. 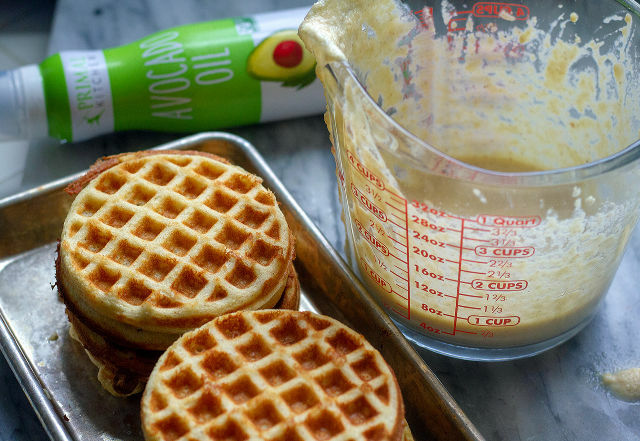 Grease mini waffle iron with Primal Kitchen® Avocado Spray Oil. 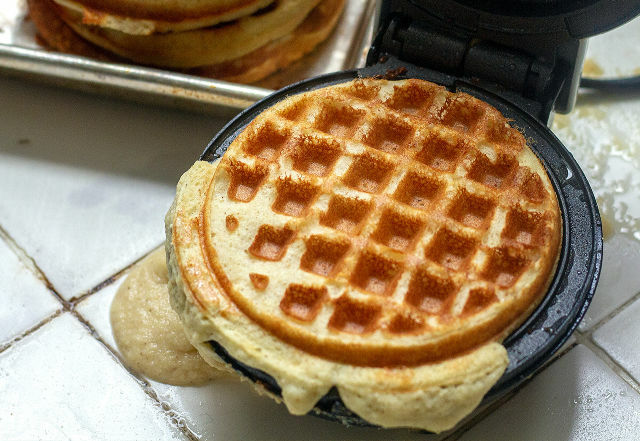 Pour batter into waffle iron and cook according to iron instructions. While mini waffles are cooking (or before), scramble 2 eggs in small skillet. Cook 3 strips of bacon (in oven at 400 ºF/205 ºC). 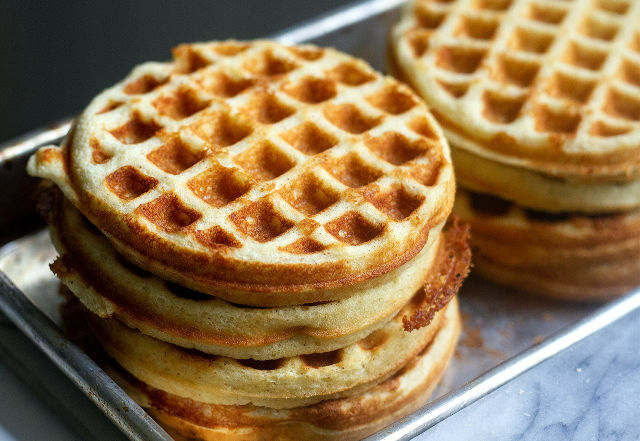 When mini waffles are done, let cool slightly on plate or cooling rack. When cooled, top two of the waffles with cheese slices, 1 1/2 bacon strips each, and divided scrambled egg. Top with the remaining two mini waffles to make 2 sandwiches. For a little extra spice, add Primal Kitchen Chipotle Lime Mayo. Now dig in…. 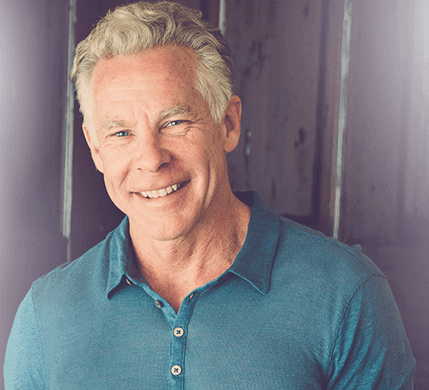 Just follow @marksdailyapple and @birchbenders on Instagram and comment on today’s MDA Instagram giveaway photo with your favorite keto recipe. 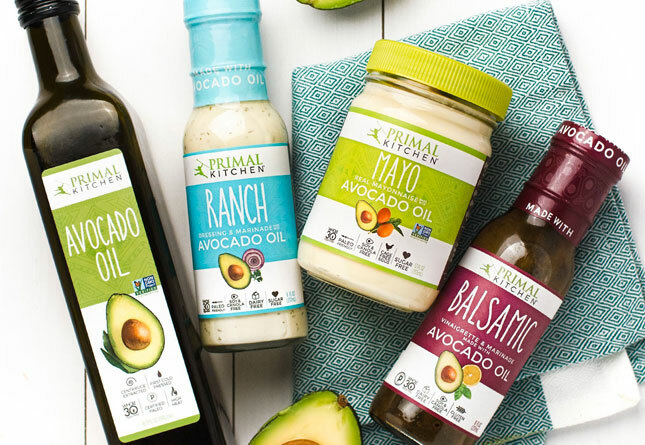 One lucky (random) winner will score a Primal Kitchen package worth $100: Vanilla Collagen Fuel, Classic Mayo, Chipotle Lime Mayo, Ranch Dressing, Green Goddess Dressing, and Caesar Dressing. My god those look good. Gonna stop at grocer on way home from gym and fire up the stove. I’ve never tried to make low-carb subs for anything but maybe now’s the time! Substitute anything you fancy in any of the categories to make any dressing under the sun! Mustard, mayo, and avocado add a creaminess, mustard is special though. Herbs are magical friends that love to dance for you! Use their flowers as well. Looks great , but man I try to avoid kitchen unitaskers. Same here, especially now that I have approximately one square foot of counter space! 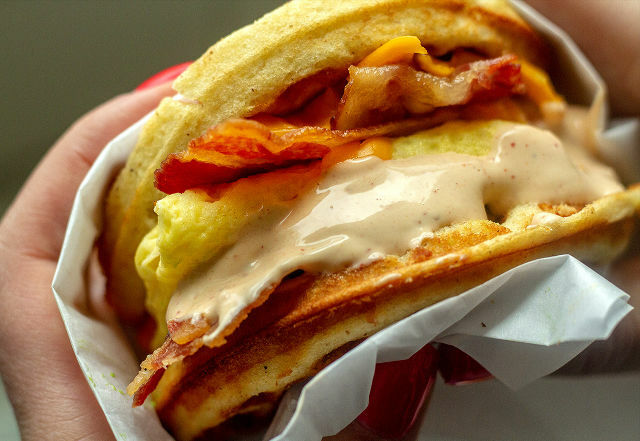 I haven’t tried it, but I would imagine that a pancake would be slightly less structurally sound but would still work (a la McDonald’s McGriddles, which I’ve never tried but they look like pancakes, I think?) as the outside of the sandwich. This looks brutally repulsive, especially in the morning…good luck..
Steven, have you ever heard of the saying “if you cannot say something nice, don’t say it at all? 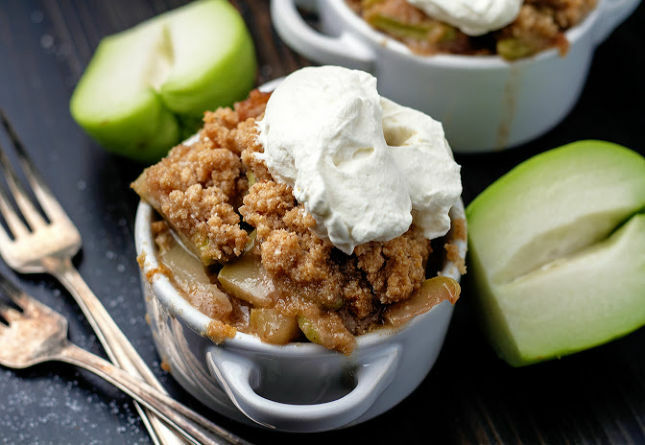 “ This recipe looks amazing and I made it through four rounds of Master Chef with a VIP tryout. How about thinking a little more positive and put out compliments instead of the ugly comment you made here. Negative attracts negative. Positive attracts positive. Try some more positive in your life in every day. You may be surprised how much your life changes. I guess you would know what repulsive looks like. 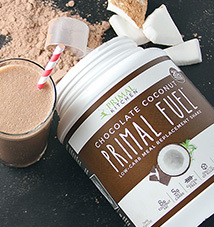 I tried the paleo version of the mix and did not like the stevia aftertaste. These don’t look like they have any stevia though, and these sandwiches looks delicious! 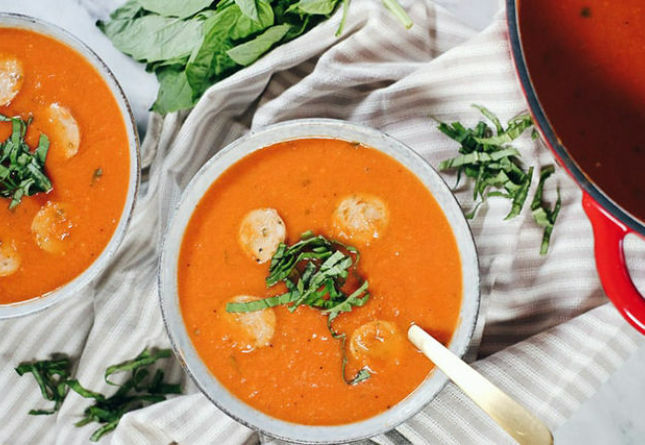 I will definitely give it a try, thanks for the recipe! 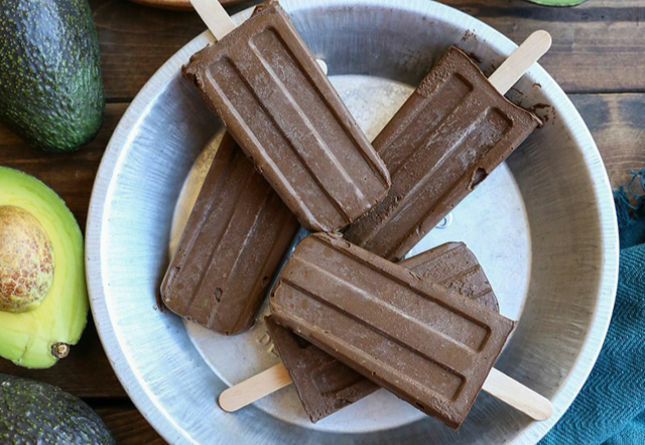 Are your Collengin bars Keto Friendly? 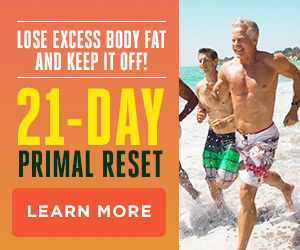 I have used the Paleo version of birch benders – I even made 2 square pancakes then put them in the toaster to have with my eggs the next morning. Worked just fine and was delish! 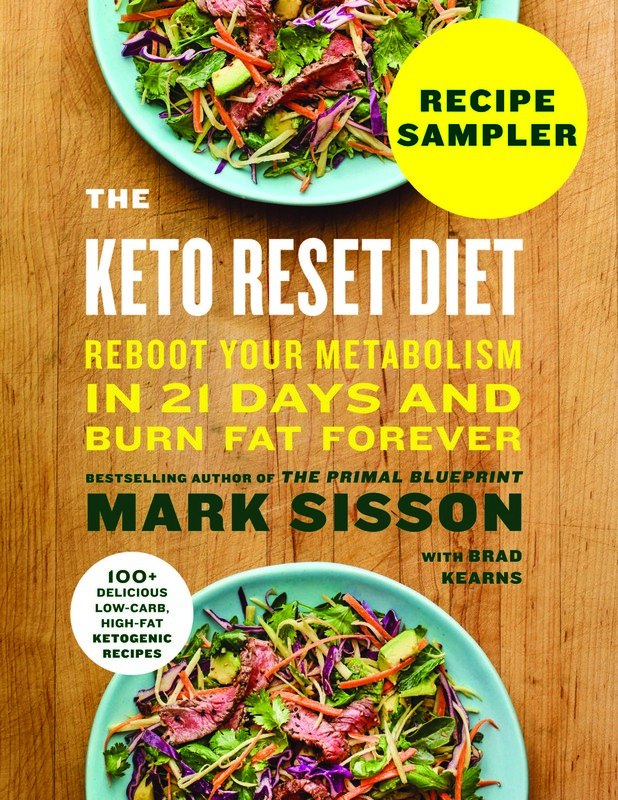 I’m looking forward to trying the keto blend. You area one in a million your recipes are always for everyone no exceptions. you inspire other health and beauty advocates like my self thanks again. Anything to substitute for the pancake and waffle mix? I’m based in the UK so they don’t have that food product here. Went out and purchased a pack of Birch Benders. 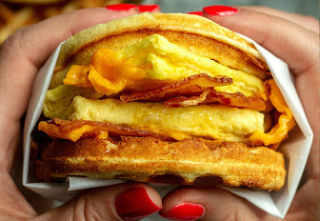 I made the breakfast sandwich the next morning. My eggs, bacon, and cheese were deleicious. The waffle part, not so much. I stayed together but had zero taste. Was disappointed to see they contain wheat fiber. Surprised to see Mark endorsing suh a product. I’ll try to make my own grain free version. 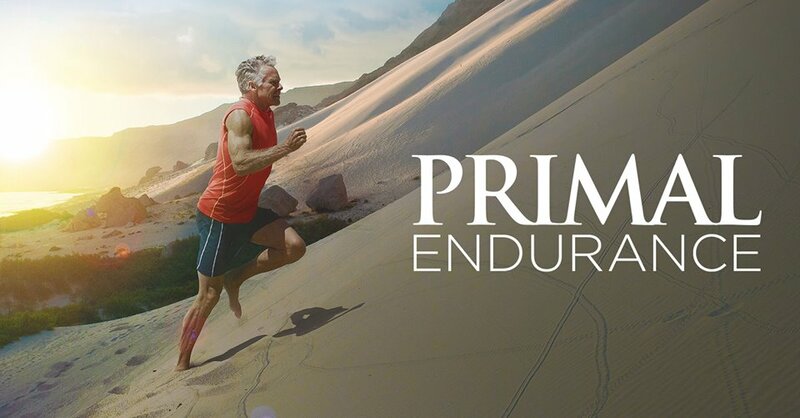 Primal1234, there’s no wheat fiber in the keto mix. They may in some of their other mixes, but not in this one.